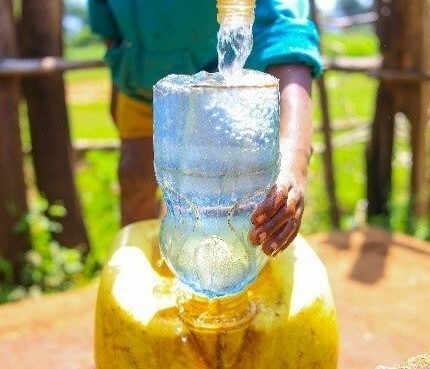 Without safe water, it is almost impossible to get an education. 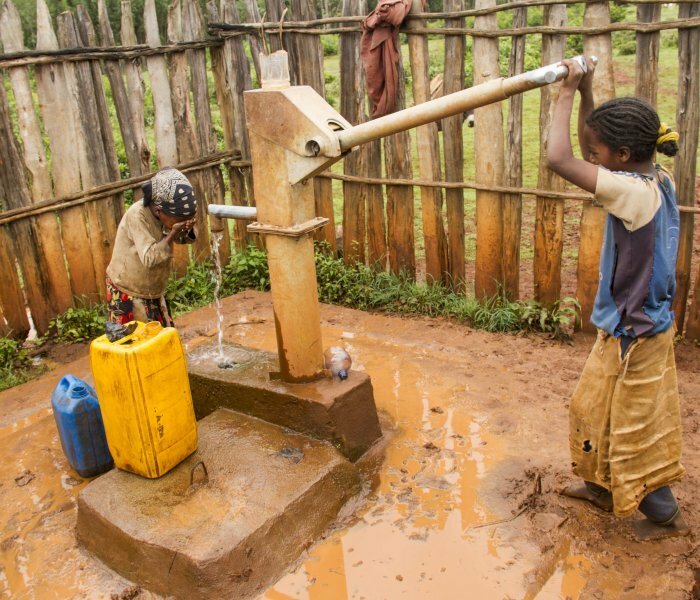 Although all children and families are affected by the lack of clean water, girls tend to suffer more as they are often the ones sent to the dirty rivers and ponds to fetch the day’s supplies. Days and weeks are missed at school through illness, or they become dehydrated and tired in class making it hard to concentrate. Remuzet is only 8 years old, living in South West Shoa. 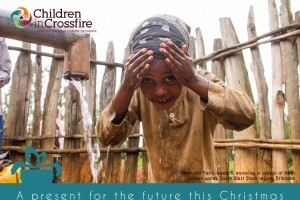 She is one of the young girls directly affected by the lack of clean safe water near her village. 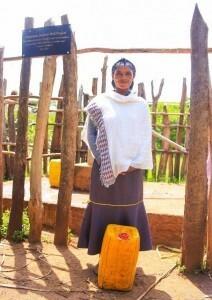 Access to water gives back time from endless hours fetching and carrying. This gives Remuzet the opportunity to attend school, and overall have a healthier quality of life. Remuzet and her family now have access safe water for life. 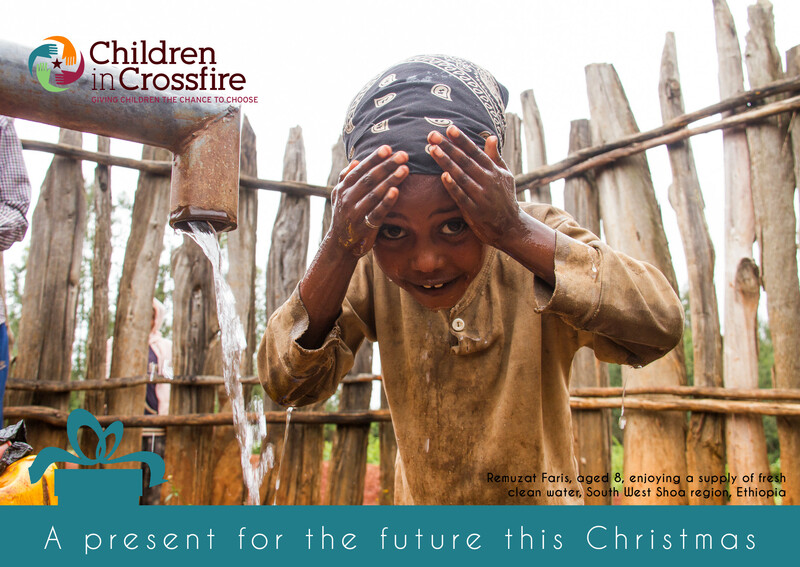 43% of Ethiopians lack access to safe water and 72% lack access to improved sanitation. Of those who lack access to improved sanitation, a staggering 28 million practice open defecation. This significantly impacts the nutritional status of young children. 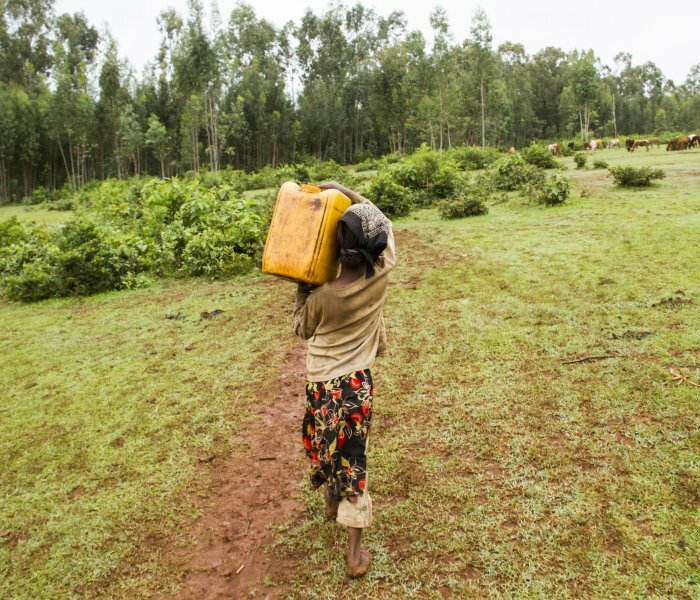 A Water.org survey found that many women and children walk over 3 hours to collect water, often from shallow wells or unprotected ponds they share with animals. 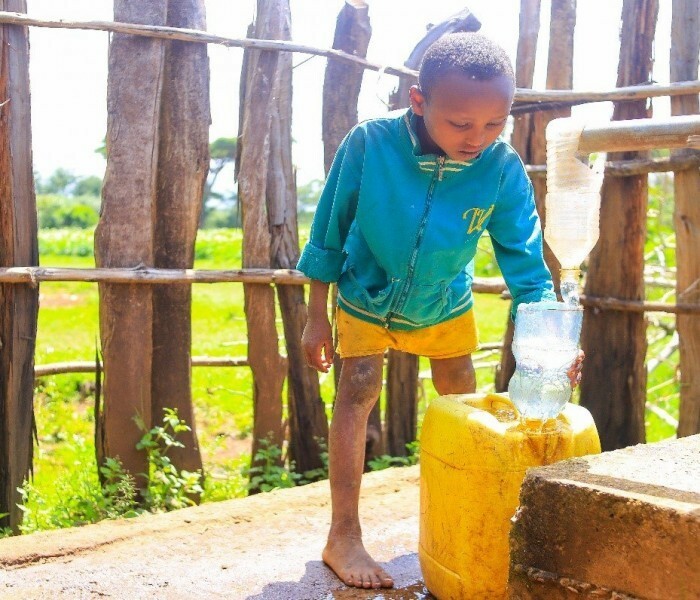 Recurring droughts result in famine, food shortages, and water-related diseases, as people are forced to rely heavily on contaminated or stagnant water sources. 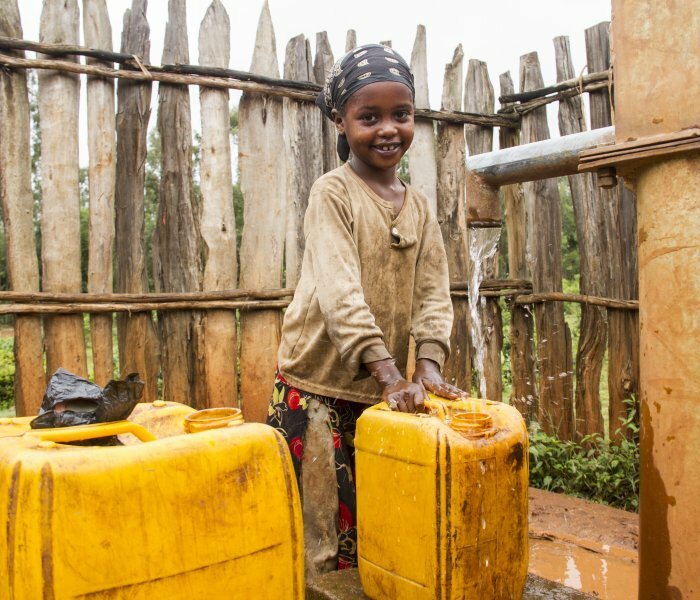 The programme has secured access to safe water for around 25,000 people in these communities in the South West Shoa region of Ethiopia. It is been linked to improving the nutritional status of around 10,000 children. 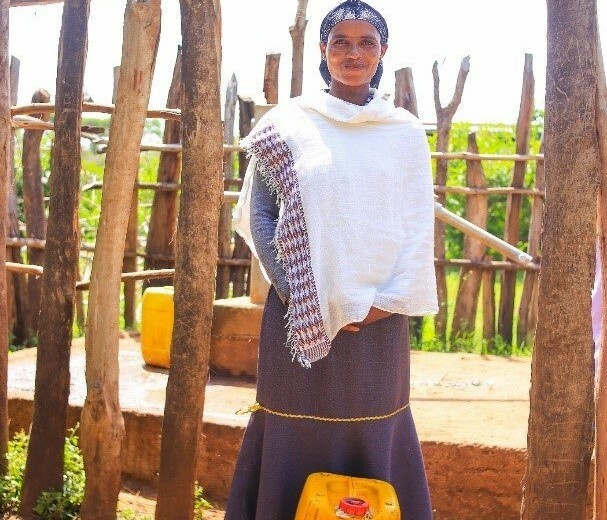 “We used to travel more than 2 hours to get water, leaving our houses and kids, and we couldn’t make breakfast for our kids because we would leave too early, and they used to go to school on empty stomachs. 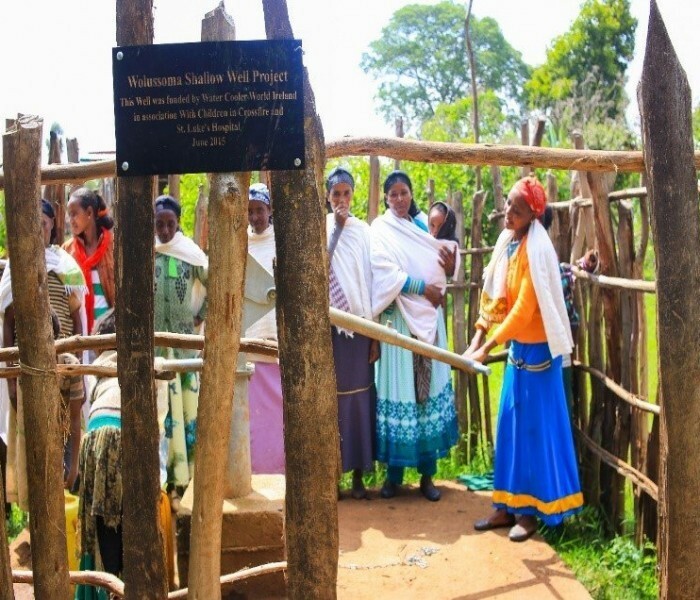 After the well is here we get cleaner water and the trip is short so we can attend to the household and family as well.” – Geitei Boru, a villager from Wolussoma. Working together at the new Well.